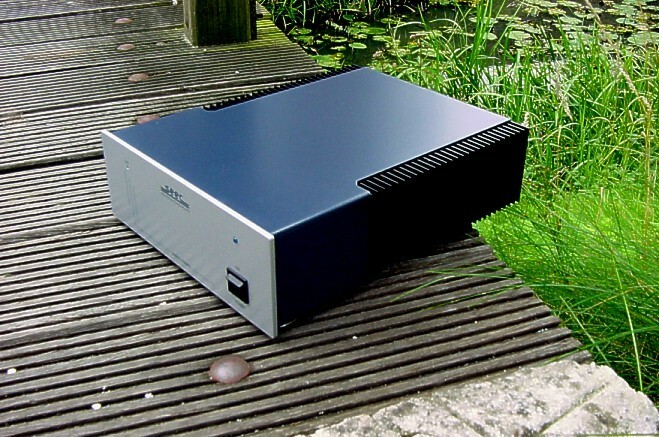 The MEDIATOR mono poweramplifier design has high precision with an outstanding performance, especially designed for the reproduction of music for professional and semi professional users, and embodies pure listening pleasure. Where is the M1 - M4 respectively 18 and 60 Watts mono music power. To avoid problems with the signal transport, cable reflection and phaseshifting inherent to this "new" standard found a fundamental solution. * The 75 Ohm interconnection method applied at this poweramplifier, has now solved most of all these problems. Higher driven energy levels are then an absolute requirement. In combination with SEEC equipment this improvement will come to its full performance, to serve the spoiled music lovers. Very short loudspeaker cables can then be applied so that the dampingfactor will remain intact. Because of this, the dynamic behaviour and accuracy will be strongly improved and signal losses are reduced to a minimum. Speaking in terms of music: A level of dynamics, dimensionality true detail and clarity that are immediately appreciated. Superb high detail and articulation at low levels. Natural ambience are presented in harmony with the timbre of the event. Dynamic expression, range and depth feels like the emotional content of performances. It has in addition the RCA inputjack. Great effort is put in the elimination of hum and noise. The main power supply contains a toroidal transformer and special 10000(F capacitors with very low inner resistance, counted up to a total of 42000 uF. The MEDIATOR poweramplifiers are precision instruments to which nothing is left to a coincidence.